Bias against left-handed people is discrimination, conscious or not, against people who are left-handed dominant. 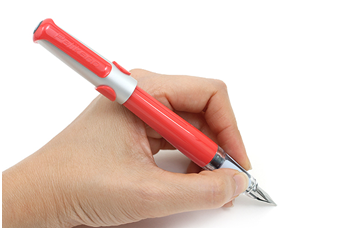 Approximately 10% of the world's population is left-handed. Yet many common tools are designed solely for use by right-handed people, making them difficult, painful, or unsafe for left-handed people to use. These range from simple objects such as scissors to dangerous machinery such as power saws. Even in relatively "modern" societies, left-handed people historically have been—and in some places still are—forced from childhood to use their right hands for tasks which they would naturally perform with the left, such as eating and writing. Left-handed people who speak Arabic, Persian, Hebrew, or any other right-to-left script do not have the same difficulties with writing. The right-to-left nature of these languages prevents left-handers from running their hand on the ink as happens with left-to-right languages. Because writing when moving one's hand away from its side of the body can cause smudging if the outward side of the hand is allowed to drag across the writing, it is considered easier to write the Latin alphabet with the right hand than with the left. Furthermore, it is considered more difficult to write legible Chinese characters the left hand than it is to write Latin letters, though difficulty is subjective and depends on the person in question. Left-to-right alphabets can be written smudge-free and in proper "forward slant" with the left hand if the paper is turned 1/4 turn clockwise (90 degrees to the right), and the left hand is drawn toward the body on forward strokes, and left to right on upward strokes (as expressed in directionality of the text). It is also possible to do calligraphy in this posture with the left hand, but using right-handed pen nibs. Otherwise, left-handed pen nibs are required in order to get the thick-to-thin stroke shapes correct for most type faces. Luckily Pelikan and Lamy offer left-hand fountain pen nibs for the left-handed writer. Question: When was the first pen nib invented? Answer: The first pens were reeds, bamboo, and bird feathers (quills), and quills were used extensively from the 5th through the 1st century BC, notably for the Dead Sea scrolls. By 79 AD, Romans were using metal-nib pens dipped in ink.